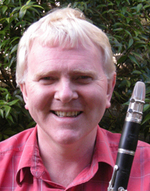 Born in New Zealand in 1957, Mark Walton is a highly respected and popular figure in the Australian and New Zealand musical scene and widely acknowledged as a clarinet and saxophone performer, inspiring teacher and charismatic musician. Many of Walton's former students are now prominent teachers whilst others hold orchestral positions in Australia, New Zealand and around the world. After nearly 20 years as Chair of the Woodwind and then Chair of Performance at the Sydney Conservatorium of Music, Walton now shares his time, musical talents and energy between Australia and New Zealand. He is regarded as an authority on distance instrumental music education and has students in several countries. In January 2012 Walton taught at the Winter Academy of the Afghanistan National Institute of Music in Kabul. The school aims to train music teachers for the future after music had been banned for so many years and since his visit Walton has formed links between the ANIM and a school in Sydney. A prolific composer, he has written many works for solo wind and wind ensembles and his works for community groups include several popular children's musicals. Mark aims to write music that is fun to play and appeals to audiences. His compositions are performed in many countries around the world. Walton is very involved with his old music school, the Christchurch School of Music in New Zealand and his recent book How Did That Happen? narrates his own unique musical journey and helps to raise much needed funds for the Christchurch School of Music whose heritage home was destroyed by the recent earthquakes. In 2005 Mark Walton was awarded the Order of Australia Medal for his contribution to Music Education in Australia.